Stephen Lang is an American theatre actor who has become famous for his roles in the movies. He has gained world recognition after the roles of Col. Miles Quaritch from the fantasy Avatar, Ike Clanton in the western Tombstone and Harry Black in the drama Last Exit to Brooklyn. Stephen was born in New York in the family of the businessman and philanthropist Eugene Lang and his wife, Theresa Volmer. The boy also has the senior sister Jane who has become a lawyer and a brother David who has become the head of one of his father’s companies. Lang Sr. became famous for the whole world because according to his will he left his 150-million wealth for the charity and deprived his children of the inheritance. Eugene was pursuing one goal – he wanted Jane, David, and Stephen to provide their life themselves. The future actor at first received his education in free state educational institution in Jamaica, and in senior classes, he got to Newtown boarding school in the State of Pennsylvania. In the same state, he entered the prestigious Swarthmore College which he finished with the Master’s degree in the field of English literature. By the way, long years later the direction of the college has conferred the scientific grade to the actor to recognize his outstanding achievements in a theatrical and cinematic career. Moreover, the actor is an honorable Doctor of Humane Letters at Jacksonville University. But all this happened only thirty years later when the newly made graduate decided what to do in his life and chose for himself the stage career. Step by step Stephen became a famous and remarkable actor. For the role in the play, The Speed of Darkness Lang received an honorable theatrical Tony award after what he got ten more awards for other plays. Lang shared his acting skills with the students of New York Acting Studio. It was that school where there gave lectures Lee Grant and Carleen Glynne who were the eminent teachers of the USA. Since 2004 till 2006 Stephen Lang was teaching students at the institution and was an art director at the Studio. Stephen Lang began to appear in the movies in the middle of eighties. The role in the psychological drama Death of a Salesman became the first role of the actor. In this movie, the actor worked together with Dustin Hoffman, Kate Read, and John Malkovich. Then there followed the role in the crime thriller under the title Manhunter. Stephen has transformed into the character of the reporter of the popular edition. The movie has become famous by the fact that the character Hannibal Lecter, the serial killer helping the investigation has appeared in it. The actor became popular in the USA after the role of the leading role in the social drama Last Exit to Brooklyn. This movie was even included into the expanded list of Academic Awards, but it didn't receive the nomination. Stephen has finally assured himself as a famous TV actor after had appeared in the high-rate series of the nineties-beginning of 2000 under the title Law & Order. 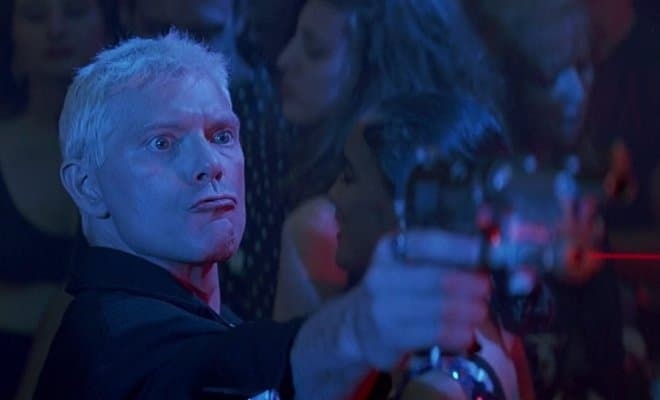 In 1991 there came out the comedy fighter The Hard Way in which Stephen performed the role of the maniac nicknamed Party Crasher. Two years later the actor took part in the drama Gettysburg about the civil war in the USA. In this movie, he played the role of Maj. Gen. George E. Pickett. One more picture dedicated to the milestone events in the state's history – is a western under the title Tombstone in which Kurt Russell and Val Kilmer performed the primary roles. Stephen received the role of one of the of silverdigger Ike Clanton. 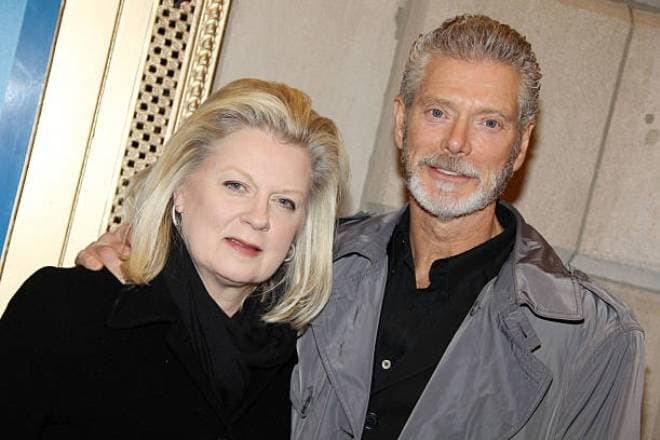 Stephen Lang got the leading role in the family picture The Amazing Panda Adventure. Soon the actor enriched his filmography with the role in the science-fiction series The Outer Limits which differed in the form of narration. In the TV series, there were no through lines. Each episode was created as a full-fledged movie. Not less interesting was Stephen's participation in the detective comedy series of 2000-s under the title Psych in which the actor got to the secondary cast. Stephen received his next remarkable roles in the family story about drug addicts Darkness Before Dawn, gripping fighter Fire Down Below and military comedy The Men Who Stare at Goats. In 2009 people began to talk about Stephen Lang all over the world. In 2009 the science-fiction movie Avatar directed by James Cameron was released, and it broke all the cash records. In this picture, actor performed the role of Col. Miles Quaritch. Stephen embodied one more image of the military Commander Nathaniel Taylor in the fantasy movie Terra Nova. And in the fantasy fighter Conan the Barbarian Lang received the negative personage Khalar Zym. Stephen Lang is a family man. In 1980 the actor married the costume artist clothes design teacher Kristina Watson. Since that he lives a happy life with this woman. The actor has never been noticed in any intrigues or love affairs that’s why he is different from many other Hollywood colleagues. In the family of Stephen and Kristina, they have four children – daughters Lucy and Grace and also the sons Daniel and Noah. Even though Stephen Lang is more than sixty, the actor regularly visits the gym. The actor thoroughly follows the arranged training complex. He has developed the physical exercises for this complex on his own. Due to the sport, the actor stays in a perfect physical shape what can be noticed in the movies and on the photos which seldom appear on Instagram or web mass-media. In 2017 a remarkable event happened in the movie career of Stephen Lang. The director James Cameron began to work on the sequel of the movie Avatar which would consist of four parts. Cameron is going to shoot all the parts of the movie at the same time. The director doesn't plan to change the cast. Therefore, Sam Worthington, Zoe Saldana, and Sigourney Weaver will again appear on the movie set together. Stephen Lang will stay in the role of the leading villain, but according to the plot, there will appear new antagonists. The budget of the sequel has reached $1 billion. It is expected that the premieres will begin in 2020 and they will continue till 2025. Besides the franchise, Lang continues to take part in other projects. In 2016 the actor delighted his fans with the appearance in the thriller Don’t Breathe. In this movie, he embodied the character of the blind Iraq war veteran who was robbed. Three young criminals, who broke into the house of the sick old man, didn't imagine what was waiting for him here. The picture received many prestigious awards including Saturn Awards. A year later the actor played the major role in the western drama Hostiles in which Christian Bale, Rosamund Pike, Wes Studi, and Ben Foster became actor's partners on the movie set. In 2018 there was released the Canadian fighter Braven with Jason Momoa in the leading role. 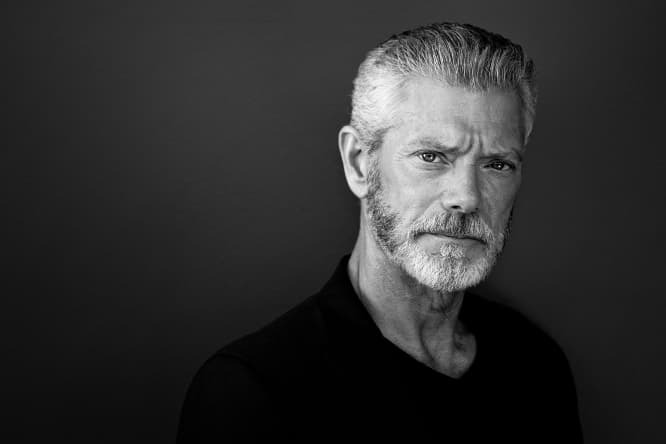 Stephen Lang has performed the role of the leading character’s father. The elderly person is ill that's why he loses his memory and doesn't recognize people around. To persuade his father that he needs treatment, Braven goes to the forest together with him. Here in the hunting lodge, the central drama begins. At the same time, there appears the batch of drug dealers who have hidden the drugs in this house. At present the sci-fi picture Chronicles of the Predatory Cities produced by New Zealand is prepared for the release. This movie tells about the post-apocalyptic world wherein the huge desert there exist the cities capsules which move all over the world in search of the left resources. Stephen Lang received one of the roles.